to put in more gas. The meter was reading all stars while I was stuck in a very long line for my prescriptions. It was almost comical when I looked around trying to figure out what to do next because I ran out of gas in a parking lot behind a Shell gas station that I didn’t even know was there! I remembered I had my new Fuel Rewards Card that Influenster sent me to try out and laughed a little to myself at the coincidence. I’d been looking for the opportune time to use my new card and take pictures for the blog but I couldn’t remember exactly where I’d seen that Shell gas station at before. I didn’t think standing there with a gas can taking pictures was the right time (it might appear odd). Using my better judgment, I waited until I returned with my car to shield the view from any onlookers and proceeded to fuel up and snap away! With my Shell card I save three cents off per gallon every time I fill up!!! I’m a fan of my new rewards card! Any time I’m saving money it puts a smile on my face!!! Talk about sunshine to my rainy day! My Puffs with Lotion To Go arrived just in time! Allergy season has kicked into high gear and unfortunately my little guys have inherited my dark hair as well as my allergy symptoms. These To Go resealable packs are great to stick in my purse or put in my car console. They’re nice and super soft too! Our eyes and noses may be red but thanks to the Puffs Plus Lotion they aren’t sore from dry tissues. Neosporin has always been a go to for me but now I can use Neo To Go! It’s a convenient little no touch, no sting spray that fits anywhere to give infection protection, plus pain relief, on the go. With my boys this is more than convenient it’s a necessity! The Neo To Go protects form infection, provides pain relief from all those cuts and scrapes, and can easily fit on your key ring. I think we have a Winner for most useful! Speaking of date night, that’s when I always try to look my best!!! I think that is a lot of what date night is about, feeling good about your partner and yourself. I was skeptical of the Anew Reversalist and didn’t think it could do much for my 34 year old skin. This translucent balm BLURS the look of wrinkles on the forehead and around eyes INSTANTLY! I tried it on top of my makeup and was blown away by the results!!! BLOWN AWAY!!! This is the best illusion I’ve come across to make fine lines disappear! Many Thanks for reading and Many Thanks to Influenster for sending me the TLCVoxBox full of goodies absolutely free to test out. If anyone is interested in becoming an Influenster please contact me at [email protected] and I will send you an invitation. You don’t have to pay to join. It’s not a pyramid scheme. You only use your social influence to receive more fun freebies to test out! Yay!!! 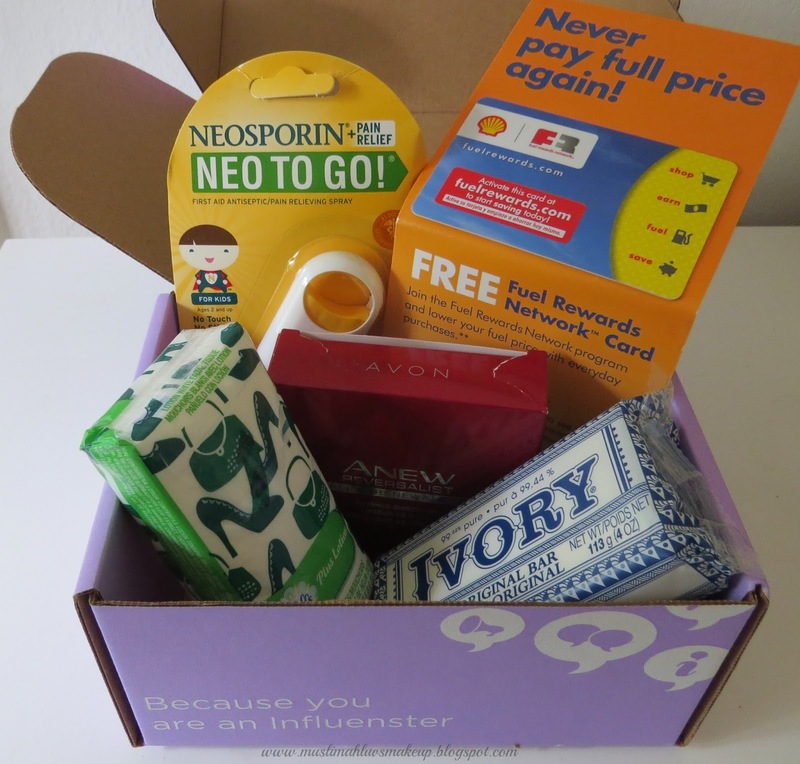 Full Disclosure: I received these products complimentary for testing purposes from Influenster. If you would like more information about these items please click on the pictures provided. I only recommend products or services I use personally and believe will add value to my readers. The opinions expressed are 100% my own. Thank you as always for reading and your on going support!